The ‘father of all crises’ has struck—and leaders pretend it doesn’t even exist. Men are privileged; women are oppressed. Boys have toxic masculinity; girls suffer because of it. Men are succeeding; women are downtrodden. That’s the message being broadcast from the mainstream media. But is it true? The facts paint a very different picture. In fact, men are in trouble! America has failed its young men, and now its young men are failing in body, mind and spirit. We are watching the fulfillment of a end-time prophecy in Isaiah 3 before our eyes. In March, Fox News commentator Tucker Carlson rattled off astonishing statistics about the ominous trends in the lives of young American men. Young women are surpassing men in virtually every area of life. Girls avoid drugs more than boys, play less video games, get better grades, perform better on iq tests, and attend prestigious colleges at a higher rate than boys. The average American woman is likely to live five years longer than the average American man. Men are twice as likely to die of drug overdoses and more than twice as likely to be addicted to alcohol. More than 90 percent of people in jail are men. Men account for more than three quarters of all suicides in the U.S., and the frequency is increasing. 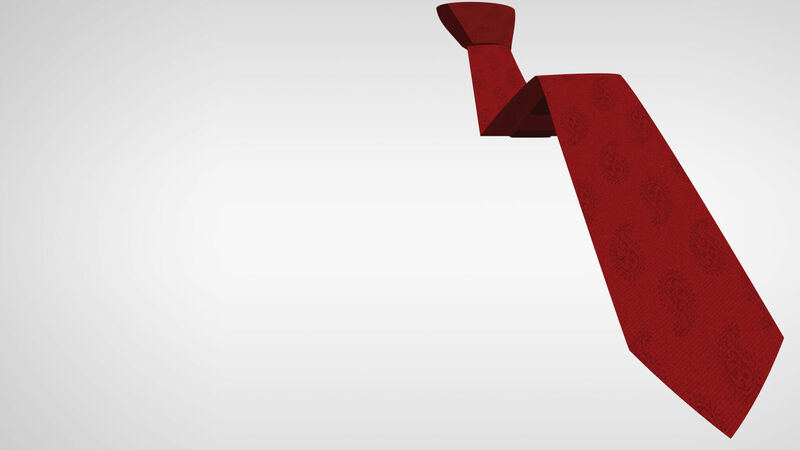 Suicides among middle-aged American men rose 43 percent between 1997 and 2014. Compared to girls, fewer boys graduate from high school. Boys get worse grades and face more disciplinary action. 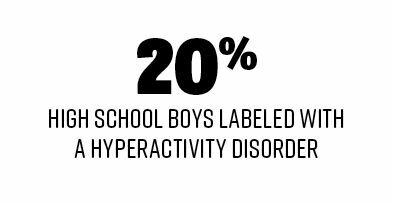 One in five high school boys has been labeled with a hyperactivity disorder, compared to 1 in 11 girls. Fewer men enroll in college, fewer graduate from college, and fewer go to graduate school, earn doctorates, and enroll in law schools and medical schools. Between 1979 and 2010, wages earned by high-school-educated, working-age men dropped by about 20 percent, whereas wages for high-school-educated, working-age women rose. 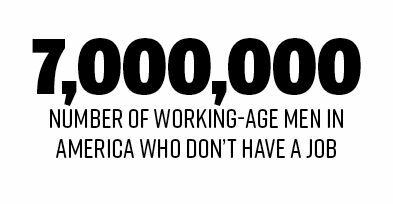 In the workplace, there are fewer male managers than female managers, and more than 7 million working-age men in America don’t have a job. Almost half of these unemployed men take prescription or over-the-counter drugs every day, the highest rate in the world. Feminists, journalists and politicians decry the “wage gap” whereby women workers earn 30 percent less than male workers. But, as Carlson said, this statistic is intentionally misleading, since it compares all American men to all American women working any possible job. Comparing men and women with similar experience, the gap barely exists, and sometimes it is the woman who is earning more. Carlson said that the average single woman in her 20s living in a metropolitan area now earns 8 percent more than her male counterpart. Men are falling behind physically as well. 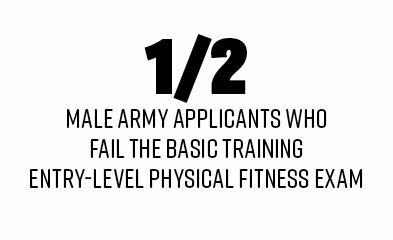 Almost half of male applicants to the Army fail the basic training entry-level physical fitness exam. 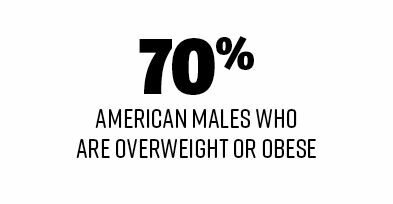 An astonishing 70 percent of American males are overweight or obese, compared to 59 percent of women. 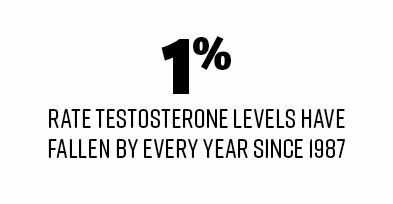 Average male testosterone levels have fallen by 1 percent every year since 1987. This means that the average 40-year-old man in 1987 had a 30 percent higher testosterone level than the average 40-year-old man today! Biologists say the American male sperm count has also fallen dramatically since the early 1970s—by almost 60 percent. Today, one in every five American children is raised by a single mother—double the rate in 1970. Millions of American children are growing up without fathers. Chronic, widespread fatherlessnessis leading to huge societal problems. Out of the 27 deadliest mass shooters in U.S. history, 26—including Parkland shooter, Nikolas Cruz—share one thing in common: They all grew up in households without their biological fathers! What if those young men had been raised by strong, upright fathers? The very first form of government and authority a child comes into contact with is in the home! If there is no upstanding government in the home, how can children learn to respect the higher authorities in society? The father who rules his family well is really the first line of defense in any law-abiding community. But in far too many households, the father is absent! In the Parkland, Florida, mass murder, not only was the perpetrator’s father absent from his life, but even law enforcement officials were negligent in dealing with him. They wouldn’t confront the violent teenager before or while he shot 31 of his former classmates at random—and then walked off to order a soda while 17 people lay dead. It was a total breakdown of government from top to bottom—and it all started in the home. “Unstable homes produce unstable individuals,” Peter Hasson wrote at theFederalist.com (July 14, 2015). That is the real cause. Dysfunctional families produce dysfunctional children! We see this reality in the current generation of young American men. Instead of taking “toxic” masculinity down another few notches, we need more truly masculine authority in American homes! Systemic lawlessness, crime, immorality, dangerous leaders and young men who grow up to be school shooters result from the lack of true biblical masculinity. In “The Desperate Cry of America’s Boys,” Fox News wrote: “[T]here is a direct correlation between boys who grow up with absent fathers and boys who drop out of school, who drink, who do drugs, who become delinquent and who wind up in prison. “And who kill their classmates” (February 18 ; emphasis added throughout). The father who rules his family well is really the first line of defense in any law-abiding community. But in far too many households, the father is absent. With the situation this dire, do our leaders finally face up to America’s masculinity crisis? No. Instead they jam demented teenage minds and other masculinity failures into a political agenda and to blame shootings on gun laws. But as the American Spectator wrote, advocating gun control as the solution to violence amounts to “rearranging deck chairs on the Titanic. If a country’s culture is sick, it doesn’t matter what legislation passes” (March 2). Our national culture is sick! And as God prophesied in Isaiah 1:5-6, that sickness has metastasized from head to toe! Widespread, worsening, craven problems come from widespread, worsening, craven sins! America thinks it can heal its symptoms by implementing more laws, more firearms restrictions, more “equality” legislation, more drug policies. Yet the more laws we legislate, the more lawlessness abounds. America’s founders advocated less government and more morality. They said the republic would not even survive unless the American people would live by biblical moral principles. How far we have fallen from that standard! Americans today largely hold no moral absolutes, no strict sense of right and wrong, no real authority figures. Radical leftists look at our society and see progress. They see more and more government as progress. They see the legalization of homosexual “marriage” and drugs as progress. They see the dissipation and disappearance of moral roles and moral virtues as progress. America’s men are now broken, by almost any objective measure, and yet they see this as progressive. The breaking of American men is breaking the American family. And the breaking of the American family is breaking American society. And the “progressives” demand more. Men are not just irrelevant, they say, men are toxic. Down with patriarchy! Down with traditional family! Down with men! It’s time for women to rise! This is exactly the dangerous, upside-down condition that the Bible prophesied! Isaiah 3 clearly prophesies that the descendants of ancient Israel, which include the Americans, would have strong masculine leadership taken away, and women and children would reign. Without strong male leadership,our society cannot survive. “For, behold, the Lord, the Lord of hosts, doth take away … The mighty man, and the man of war, … the honourable man, and the counsellor …. And I will give children to be their princes, and babes shall rule over them. … [T]he child shall behave himself proudly against the ancient, and the base against the honourable. … As for my people, children are their oppressors, and women rule over them” (Isaiah 3:1-5, 12). Many ignore the fact that the Bible prophesied our current moral situation 2,700 years in advance. Many ignore the idea that the God who inspired such a prophecy should be listened to, much less obeyed. Many argue that women and children exceeding men in high school, college, graduate school, the workplace, the housing market, the gym, the bank and elsewhere is progress. Look at the fruits! As Carlson said, “Ignoring the decline of men does not help anyone. … When men fail, all of us suffer” (op cit). This is a crisis! Pretending it is not a crisis won’t make it go away. Pretending that it is progress won’t make it go away. Without strong male leadership, our society cannot survive. The God who prophesied this exact trend is the same God who created human beings, the same God who reveals the laws that cause human happiness. In His Word, this God says that a successful leader should rule his own house well, having his children—including his boys—“in subjection with all gravity.” Ruling his own home well is the basis for him learning to lead outside the home (1 Timothy 3:4-5). That is the main goal of a Christian father: to rule the family well, to subject his children to his authority, and to subject himself to his Creator’s authority. Those words—“rule,” “subjection” and “authority”—clang in modern ears, not because they are as evil as our society has come to believe, but because our society is evil! America has rejected the laws of human happiness and success revealed by our Creator! And we have replaced those laws with what? Relativism, “tolerance” and “freedom.” The idea that God’s laws are not absolute. The idea that there are no absolutes. American men are committing suicide. So is American society. Children need a father. Astoundingly, saying so has become controversial in 21st-century America, but it is truth. Boys must have a God-fearing father who keeps them in check and compels them to fight vices and acquire virtues. The God of the Bible is real, and so is Satan. It is obvious from looking at our society that evil is real, but we want to argue about where it comes from, and even about whether or not it is absolute. Evil is absolute. It comes from Satan, and we have left our society wide open to Satan’s attacks because we have destroyed strong male authority. Satan accuses men of being privileged and claims women are oppressed; he says men should be more like women and women should be more like men—not because the destruction of masculinity and femininity will make women happier, but because the destruction of masculinity and femininity will destroy the nation! God reveals in Revelation 12:9 that Satan has been cast down to Earth. He reveals in Ephesians 2:2 that Satan is a master broadcaster, and—if you are paying attention—you can see his deceptive influence everywhere! After millennia of motivating men to misuse authority, he is now destroying that authority, turning the family upside down, and erasing the father from the home, from society and from the nation. He will never stop attacking masculinity, because the physical father is a type of God the Father. That is why Satan cares so passionately about the roles of men and women: They point to the God Family, and he hates that! God the Father wants that same intimate, father-son relationship with you. He is not an absent Father! He does not desert His children. He wants His sons to succeed, not fail. Moral relativity, absent leadership and declining family values can only lead our nation further into the abyss. The only way to solve this problem is to get back to the basic principles of biblical morality—the Ten Commandments—and rebuild the family the way God established it in the beginning. God wants to be your Father. 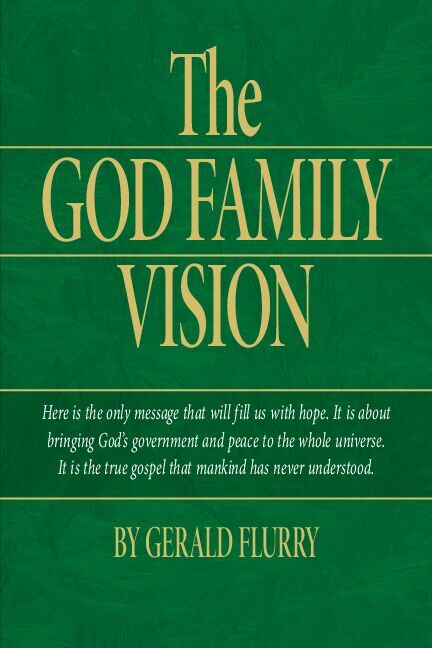 God wants children and wants His children to succeed.To learn more about this wonderful truth, orderGerald Flurry’s free booklet The God Family Vision.